Adolf Luther was a German painter and light sculptor, known for his installations that used reflective objects and lenses to capture light and movement. Luther’s artistic practice included “dematerializations,” assemblages, and installations of destroyed materials that linked him with Group Zero. 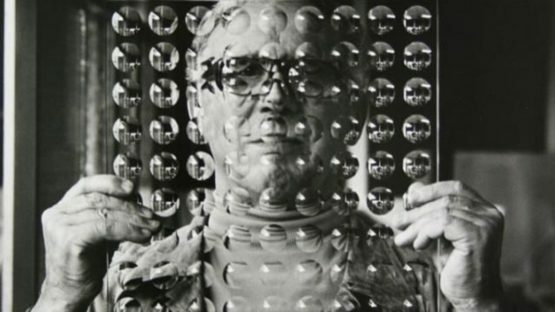 The artist worked with dark matter, glass, mirrors, lenses, and lasers.